In the late nineteenth century, the first discoveries of prehistoric painting were greeted with incredulity. How could there have been such deft and skillful artists in the world over 30,000 years ago? 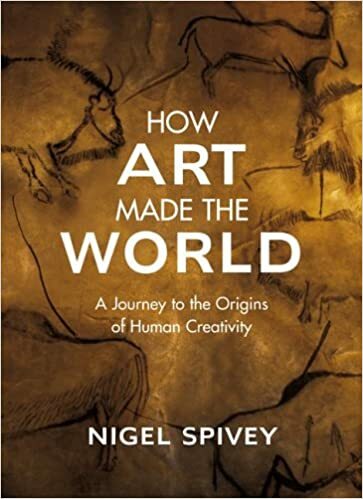 Noted art historian Nigel Spivey begins with this puzzle to explore the record of humanity's artistic endeavors, and their impact on our own development. How Art Made the World, in conjunction with the PBS miniseries, reveals how artists from the earliest caveman to the most studied Renaissance master have grappled with the same questions in their work: What is a man? Why must we die? Is there a God? With the help of vivid color illustrations of some of the world's most moving and enduring works of art, Spivey shows how that art has been used as a means of mass persuasion, essential to the creation of hierarchical societies, and finally, the extent to which art has served as a mode of terror management in the face of our inevitable death. Packed with new insights into ancient wonders and fascinating stories from all around the globe, How Art Made the World is a compelling account of how humans made art and how art makes us human. edited by S. de Filippis, is available in the Cambridge Edition of the Works of D.H. Lawrence (Cambridge 1992). A historical overview of Western attitudes to death is given by P. Ariès, The Hour of Our Death (New York 1981); for anthropological approaches, R. Huntington and P. Metcalf, Celebrations of Death (Cambridge 1979); for archaeological approaches, M. Parker Pearson, The Archaeology of Death and Burial (Texas 1999). See also J. Bremmer, The Rise and Fall of the Afterlife (London 2002).